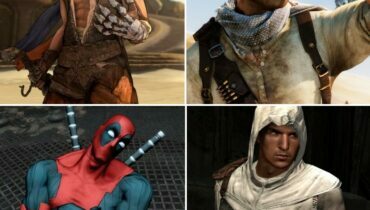 Storytelling in video games has come a long way. Nowadays, gamers expect engaging narrative, complex plot development and thought-provoking themes. 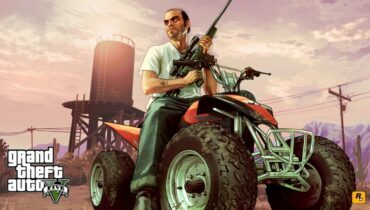 Of course, many good stories end with a twist or unexpected revelation which forces the audience to reconsider everything which has come before it, and video games are no exception when it comes to delivering shocking endings. 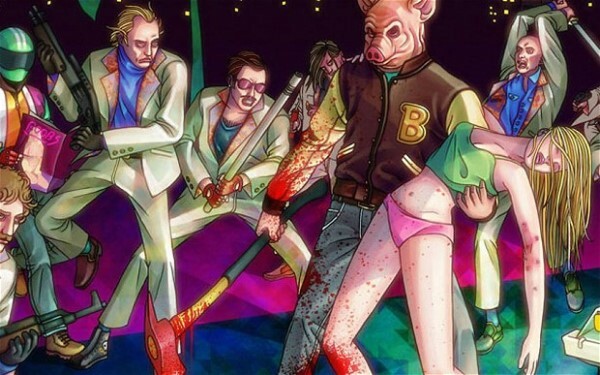 It’s easy to mistake indie hit Hotline Miami for an over the top, shallow shoot-em-up which revels in its depiction of violence. 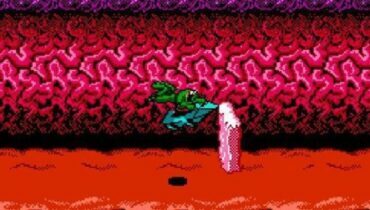 However, scattered throughout the game’s trippy visuals and retro graphics are cryptic messages which reveal a shocking finale. Hotline Miami’s bizarre ending breaks the fourth wall and manages to be a satisfying conclusion to the events of the game as well as an effective meta commentary on video games themselves. Few video game moments can match the twist in Bioshock when it is revealed you have been working for the bad guy all along, but the most recent entry in the series has a much more complex and thought-provoking ending. Bioshock Infinite deftly weaves the worlds of Columbia and Rapture together by introducing the concept of multiple universes and the notion that even seemingly insignificant choices can have (literally) earth-shattering consequences. 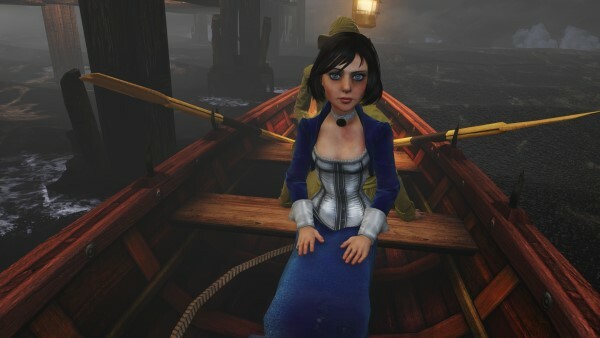 However, the difficult ending is also very hopeful, and leaves players with the uncertain possibility that there may ultimately be a better future for the game’s lead characters Elizabeth and Booker. Shadow of the Colossus is widely regarded to be one of the best video games of all time. 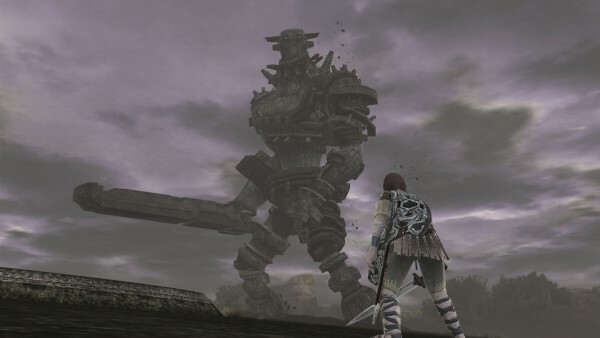 The game’s story is actually quite minimalist, and all that is revealed to the player is that the protagonist Wander must slay 16 colossi to revive the maiden Mono. 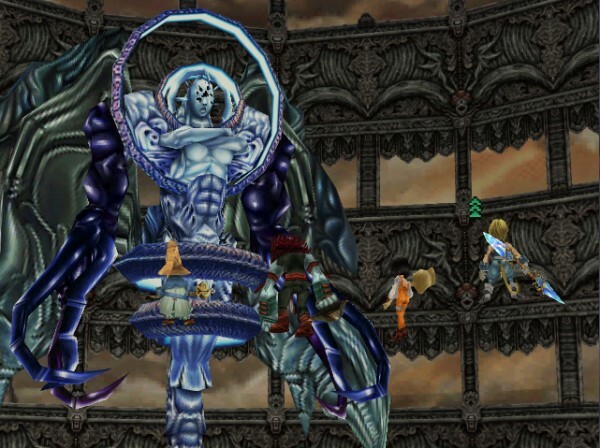 However, as the story progresses and players reach the end of the game, it is revealed that each colossus was harbouring a part of a malevolent force which had been split into 16 pieces. The death of all the colossi means that the ancient evil can be rebirthed and is free once more to wreak havoc on the land. On the surface, Spec Ops: The Line looks like another generic third-person shooter with a contemporary war setting. However, the game’s narrative effectively turns the entire genre on its head. 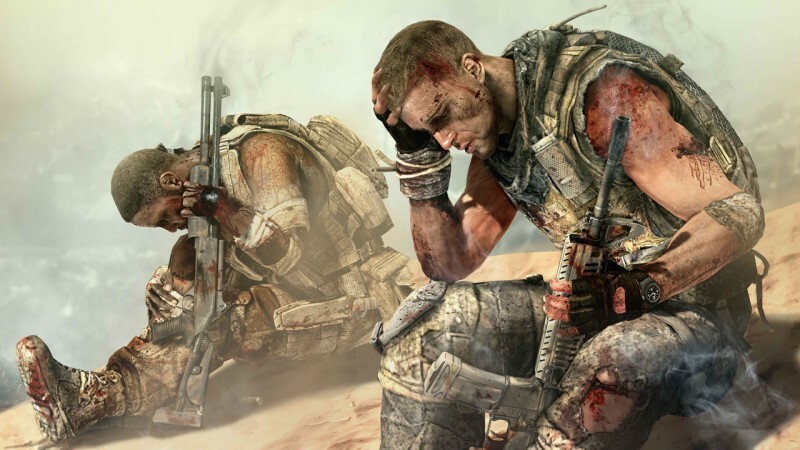 Spec Ops: The Line explores the darker, realistic side of modern warfare and forces the player to truly consider their trigger-happy actions. The Final Fantasy series has a sprawling, epic plot which is impossible to condense into a short synopsis. However, the shock ending of Final Fantasy IX actually has nothing to with the story. The final boss Necron turns up completely unexpectedly with no explanation and with no previous mention of him at all in the series. Superhero Batman and his arch nemesis the Joker have an antagonising, deadly relationship, but the two characters have always been mutually dependent on each other. In Arkham City, Batman is manipulated into finding an antidote for the Titan virus which is slowly killing the Joker. Of course, most players assumed that the game would end with Batman curing his arch nemesis and capturing him for his crimes. However, in a shocking twist, the Joker accidentally smashes the antidote (which Batman was going to give him) and he dies in Arkham City. 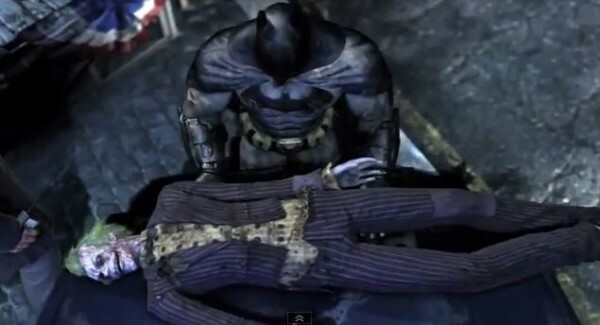 The game ends with the powerful visual of Batman slowly walking through the gates of the city carrying his fallen enemy. It seems almost counter-intuitive to have an MMORPG ‘end’ because developers want subscribers to keep playing and renewing their monthly memberships. However, faced with dwindling player numbers and tough competition from other games, SOE decided to pull the plug on Matrix Online on July 31, 2009. 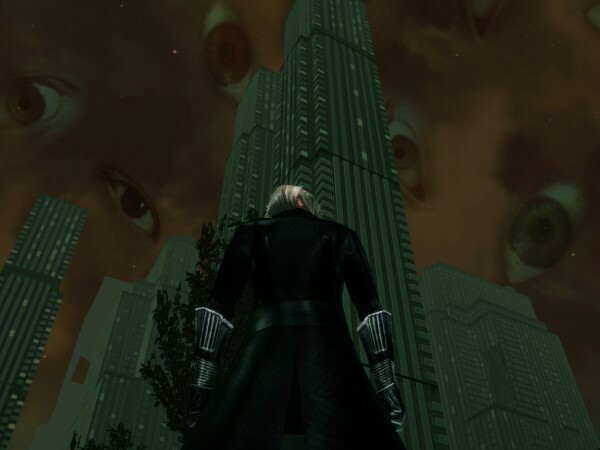 Loyal players who logged in to the game the week before it ended were treated to strangely coloured skies, inexplicable explosions and weird bugs, implying that something very strange was happening to the Matrix. Moments before the servers went offline, an alert popped up saying ‘Wake up!’ and lightning bolts hit every avatar in the game. The avatars writhed and screamed for a few seconds before being crushed into tiny balls on the floor. What better way to end a Matrix game than by forcibly pulling its players out of the game world and back into reality? The point and click adventure series Monkey Island has always used it’s bizarre sense of humour to explain even the strangest plot devices, but the ending to the second game was truly a head-scratcher. With the help of a trusty voodoo doll, series protagonist Guybrush rips an arm and a leg from evil pirate LeChuck. Flailing on the floor, LeChuck removes his mask to reveal that he is actually Guybrush’s “creepy brother Chuckie”. As Guybrush tries to make sense of the situation, a maintenance man appears and tells them both that they shouldn’t be in the room. 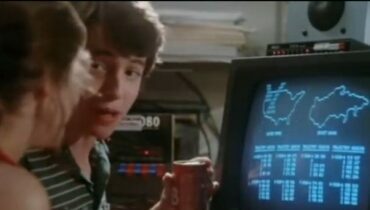 The two walk out and are instantly turned into younger versions of themselves at a “Big Whoop” carnival with their parents, and their mother scolds Guybrush for running off and getting lost. The third game explained that the ending was a hallucination brought about by a hex used by LeChuck but as lead writer Ron Gilbert didn’t return for the sequels following Monkey Island 2, fans still argue about the true meaning of the weird carnival twist to this day. Planescape: Torment was critically acclaimed when it was released in 1999, but the game sold few copies and failed to find a wide audience. However, the game had a rich, detailed story which rivals all other RPGs. Taking control of the immortal amnesiac The Nameless One, players must find clues to unravel the character’s past. 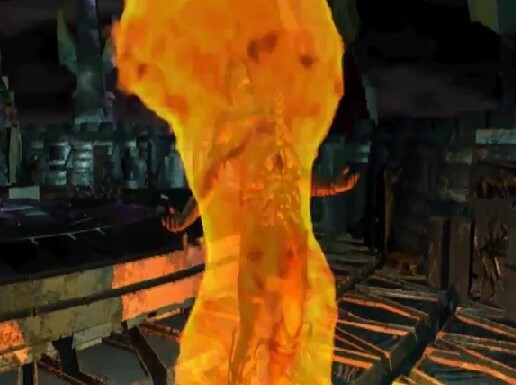 As the game progresses, it is revealed that The Nameless One separated his mortal side in an effort to avoid retribution for the terrible deeds he committed in his lifetime. 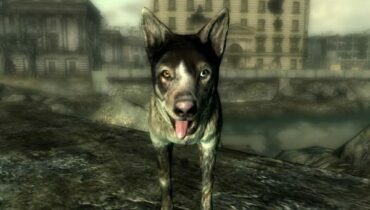 The ending allows players to either accept their mortality or to banish it forever. While both options lead to death, the decision has powerful repercussions for The Nameless One. Many games try to make players think about the nature of humanity and their own consequences, but few are as successful in their execution as Planescape: Torment. The release of Half-Life completely changed the narrative and storytelling ability of video games. Instead of relying on immersion-breaking cut scenes, Half-Life seamlessly weaved its story into the gameplay. This meant that players were in complete control at all times and it never once felt like they weren’t part of the game. Playing as scientist Gordon Freeman, players fight to unravel the mysterious cause of alien creatures in the Black Mesa science facility. Eventually travelling to the strange Xen border world, the G Man offers two different endings. 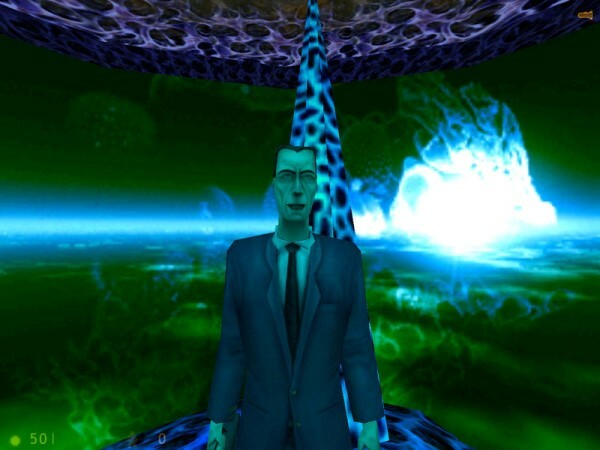 Players can choose to either work for the mysterious antagonist (entering cryogenic stasis until Freeman is needed again) or they can reject the offer and be teleported back to the alien hordes of Xen. Although the two different endings themselves weren’t necessarily shocking, the way the story and the choices were presented to the player was absolutely ground-breaking.